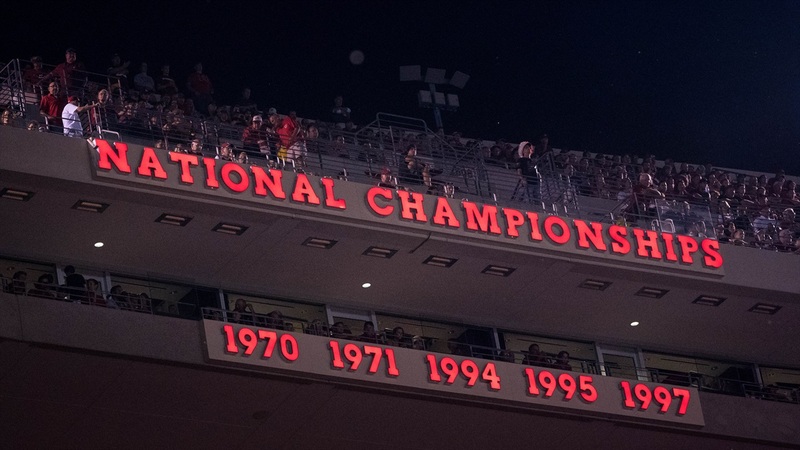 Over the weekend, 3-star defensive end Casey Rogers‍ from Avon Old Farms prep school in Avon, Connecticut, took an official visit to Nebraska with his parents. Rogers had just gotten home from the visit late Sunday night when I was able to catch him on the phone to chat about his visit. His player host was offensive lineman Matt Farniok. Rogers said it’s a unique situation with the current players because the recruits they are hosting know the coaching staff better than they do at this point. Still, Rogers says the players are excited to start winter conditioning this week and get to know the staff. When I asked Rogers for his overall thoughts on the visit, there was no need for a follow up question asking him to rate the visit on a scale of 1-to-10. “I loved it honestly. I was really excited to meet Coach [Frost] and all his assistants. I was excited to go to the Midwest. I had only been to Colorado," he said. "I was really excited to get out there. I had heard so many great things about Nebraska, but at the same time I had never even seen pictures of Nebraska until I got interest from them and I started researching them. I absolutely loved them. The fan base is so awesome. I can’t explain how much everyone out there is excited about Coach Frost from the fans, the students to the players. Rogers plays both ways for his school in Connecticut and lines up all over on defense, so I asked him what position the staff is recruiting him for. Rogers has a great frame (6-5, 250), so I could see him staying at that size to play a hybrid role. I could also easily see him bulking up some to play a base 3-4 end or even getting to the 280 range to play defensive tackle in this defense after time with Zach Duval. Even the players can’t wait to get started and can’t wait to have one-on-one meetings and get to know him because everyone knows what Coach Frost can do to a program. Everyone knows Nebraska is a sleeping giant right now. Rogers has taken official visits to Ohio State and Alabama, but they have yet to offer scholarships to him. The other schools in the mix for Rogers right now are Vanderbilt, Pittsburgh and Indiana. He says he doesn’t really have a top five but wants to keep his options open. I asked him what needs to stand out in the school that he ultimately chooses to call home for college. His answer shed some real light on his recruitment and where it stands. When it comes to a decision timeline, Rogers says “it could be any day really.” He has a visit set up next weekend to Vanderbilt. Though the timeline for a decision is unclear at this point, Rogers said it will be based on when he feels comfortable to make the decision. Frost is visiting him at his school on Monday morning for a quick follow up after his visit.